Uganda is habitant to over half of the world’s total estimated numbers of the Mountain Gorillas. Most of these rare animal species are found in different sections of Bwindi Impenetrable national Park which is also world heritage site and one of the most popular destinations in the African Continent. 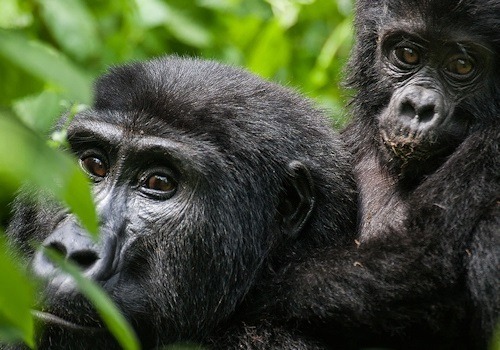 Taking gorilla safari tour to Uganda offers you the opportunity of having a magical experience with one of the Uganda’s oldest habituated group called the Mubare gorilla family. Gorilla Safaris in Uganda offers an impressing trip to visitors who confirm their safaris to Bwindi Impenetrable National park in western part of Uganda. The interesting experience comes from the face to face interaction between visitor and the Mubare gorilla group located in the Buhoma region .The Mubare gorilla family also called the M-group is the oldest habituated gorilla family in Uganda. The group was habituated in year 1991 and it was open and exposed to tourism in the year 1993 which is the very year it received its very first time trekking visitors. In the year 2012, the Mubare group was attacked by a wild gorilla group who ended up breaking Ruhondeza’s leadership and took away some of the females. The occurrence or the attack forced Old Ruhondeza to take asylum in a nearby community forest where the researchers continued to monitor him, until when lost his life in his sleep on 27 June 2012. Currently the group has 8 individual members and confirming your gorilla trekking safari in Uganda provides you with maximum opportunities to have one golden hour of interaction between the tourists and the rare gorillas and in the face to face encounter the tourists will come to sweep away the wear they have towards gorillas because the they will come to prove that human beings share 95% of the their behaviors and characteristics with the gorillas.